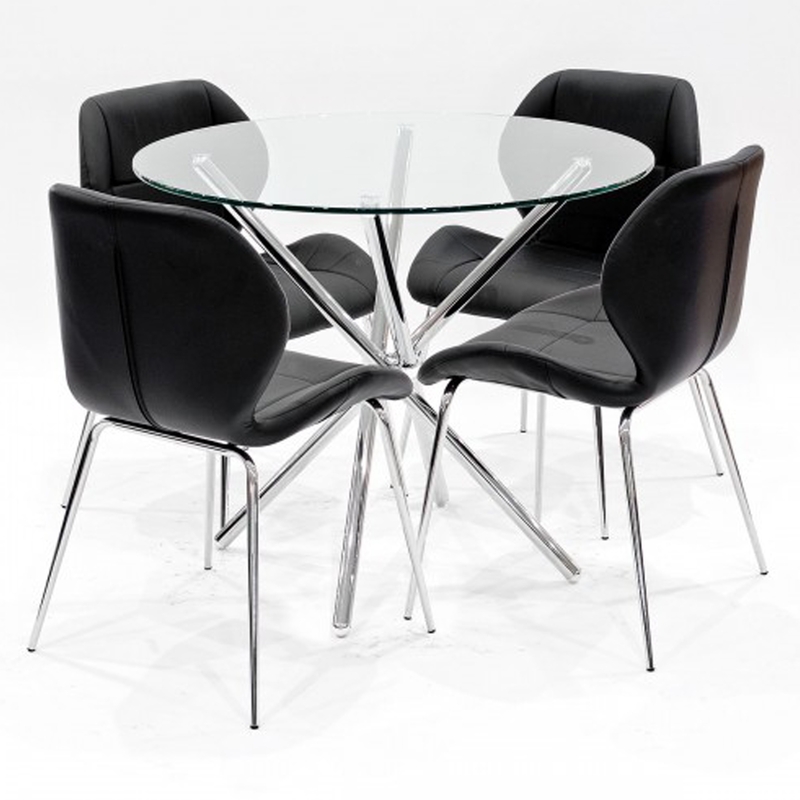 Small, light weight, affordable, modern bistro style chairs covered in a soft plush leather-look PU. This simple bistro chair has an ergonomically shaped seat and back rest finished with a chrome plated frame that is strong and sturdy. Alongside this lovely criss cross design dining table with a round glass top and chrome base this dining set will bring your existing interior to life.